A basket of fresh fruits arranged with gourmet cheese and crackers, cookies, dried fruits and nuts. 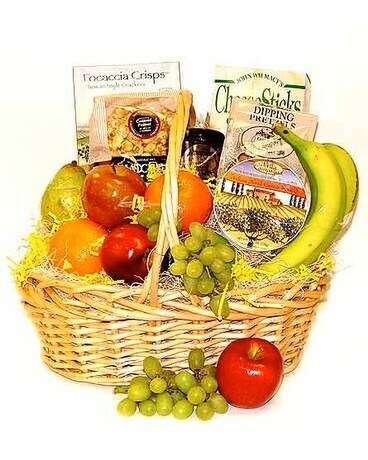 A best selling delivery gourmet fruit basket for the holidays, condolence, get well and more. A true favorite.